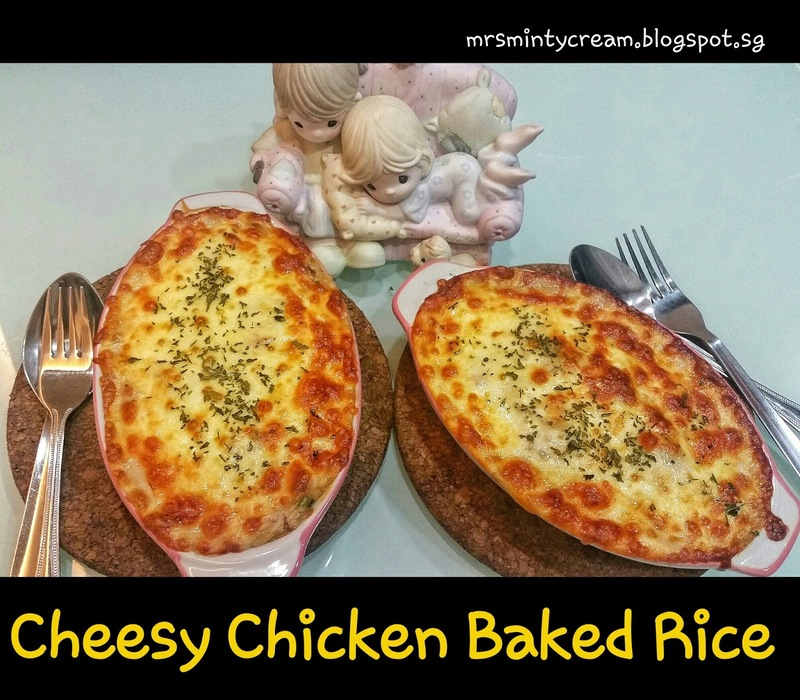 Cheesy Chicken Baked Rice, definitely a go-to recipe for me and my family. 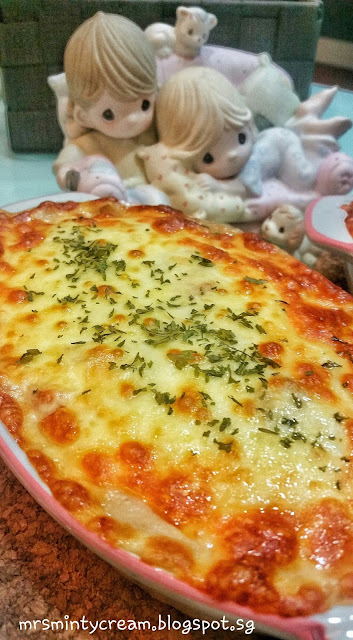 Hubby and I love this dish so much that it is probably the most cooked dinner item for us at home. This is also something I like to cook for Hubby when I know he had a tough week at work. The perfect reward for him just because I know how much he love this baked rice! Trust me, this dish is THAT simple and THAT good! To be honest, there is really no ways you can get this recipe wrong in the kitchen. I have cooked this dish numerous times for family gatherings, home dinners, pot-luck parties and even taught a few friends how to cook it. So far, every single person who have tried this, love it and they always come back, looking for more. 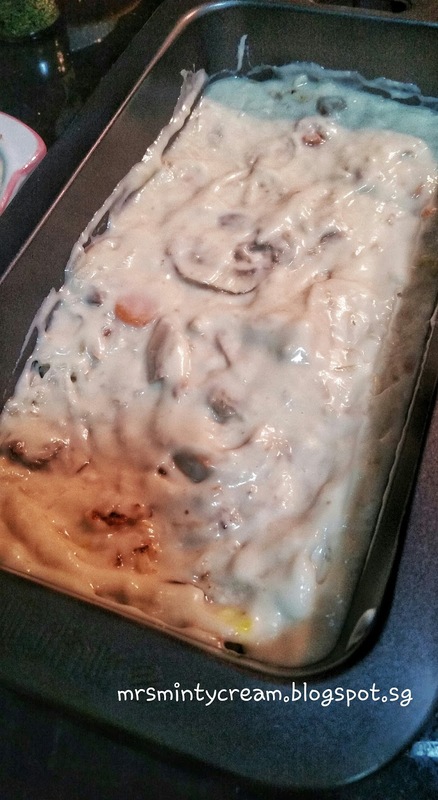 I am so grateful to have this fool-proof recipe! I have a similar recipe on Chicken & Mushroom Baked Rice which I shared on this site couple of years back and this new version is basically an improved version with more vegetables. Even so, it still comes with the same old goodness packed in it. 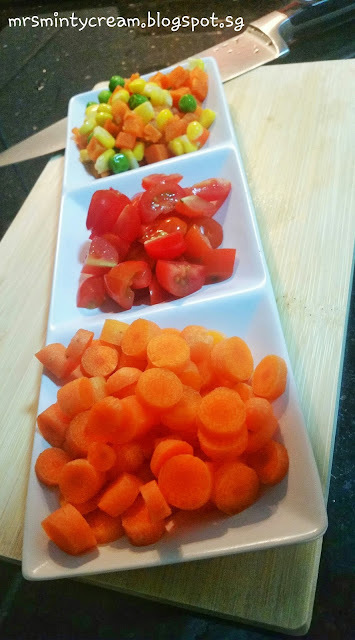 If you would like to, you may also replaced the protein in the recipe with salmon, grilled fish, pork, seafood or basically anything to your liking. On that note, I will be doing a vegetarian version very soon. Stay tuned! 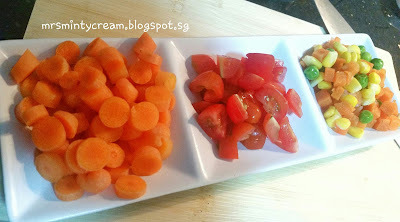 Recipe: Adapted & modified from here. 1. Preheat oven at 200C. 2. Rinse and drained the uncooked rice. Set aside for later use. 3. In a saucepan, add the olive oil. 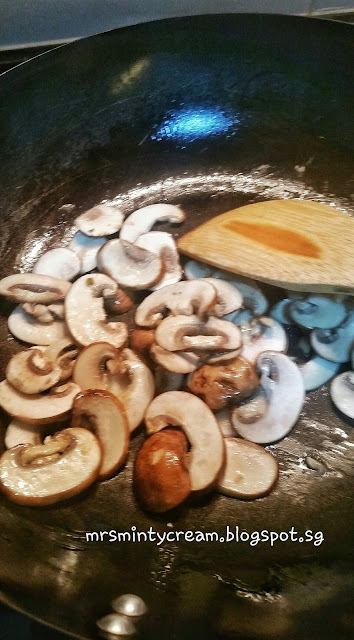 Once the saucepan is heated, add in the sliced mushroom followed by the chicken pieces. Stir-fry over medium-low heat until the chicken is semi-cooked with a white surface. 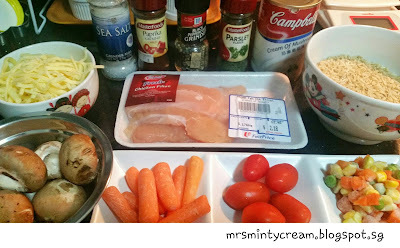 Do not overcook the chicken to ensure that the meat will not end up too tough. 4. 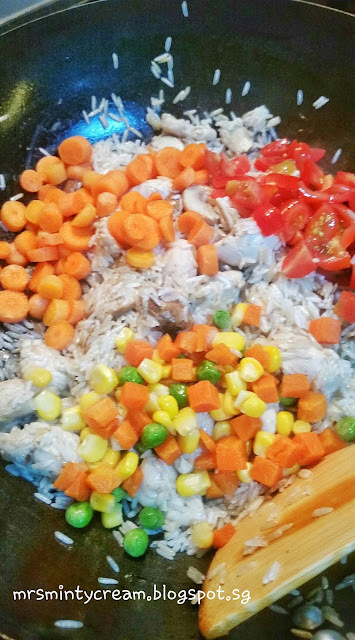 Add the washed uncooked rice, followed by the carrots, tomatoes and mixed vegetables into the saucepan and continue frying and tossing. Season the mixture with salt and pepper. Ensure that the content is well-stirred. 5. 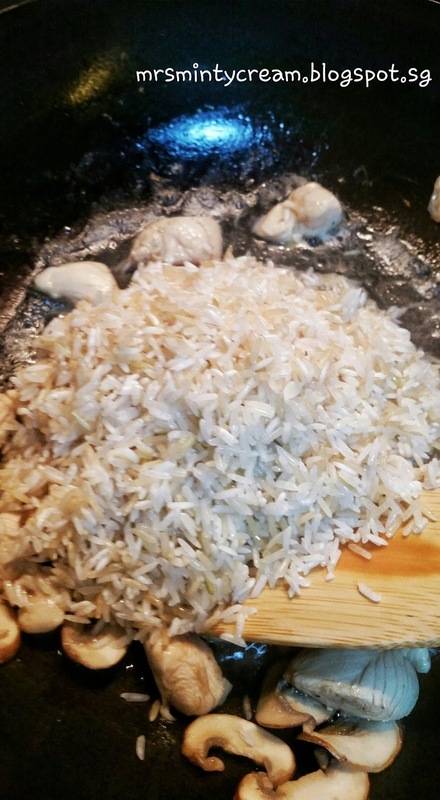 Transfer the fried rice into a rice cooker and add in water to cook the rice. 6. 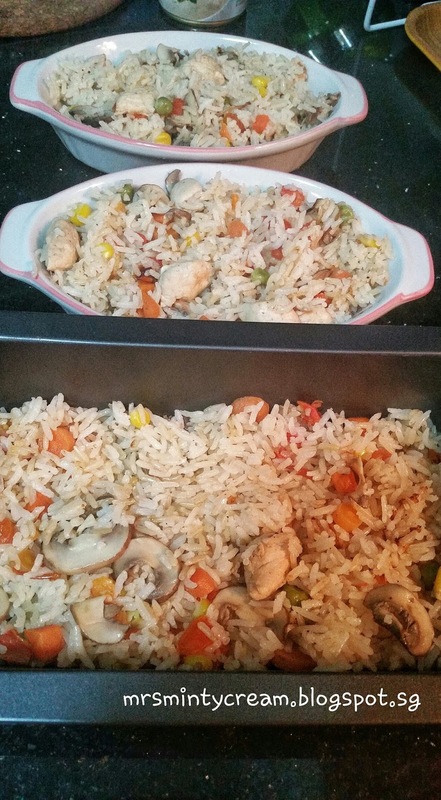 After the rice is cooked, portion the content into your casserole dishes or baking pan. Pour the Cream of Mushroom Soup sauce over the top of the rice. Spread the sauce evenly across the surface. 7. Top the sauce with a layer of shredded cheese. 8. 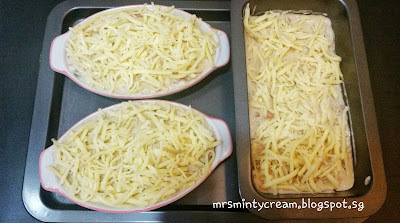 Bake in the oven for 16 - 18 minutes, or until the cheese has melted and give a golden brown crust at the top of the baked rice. Serve while it is hot. Anything gooey and cheesy gets my vote! Same here for me! Chessy fans we are, isn't it? Yum! I make a variation of this, it's always interesting to read how other people make it!! That's the beauty of sharing as caring isn't it? 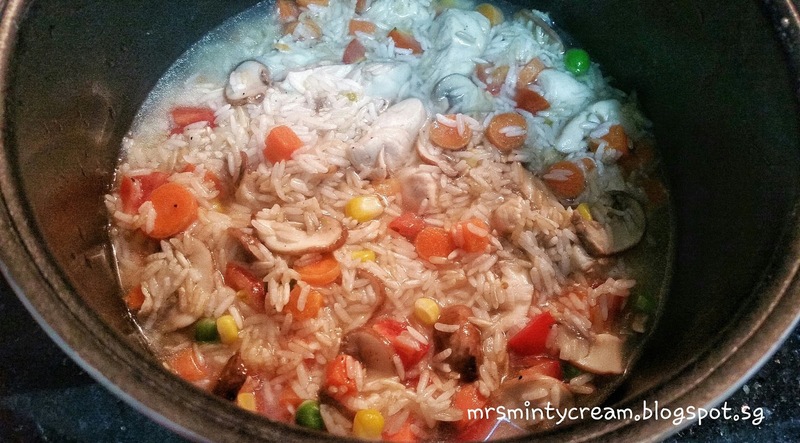 I never thought about cooking the rice with the vegetables this way, I am going to have to try it! I just like to keep my cooking simple as best as I could. Hope you like it too! I never thought to make rice like this, great to know! 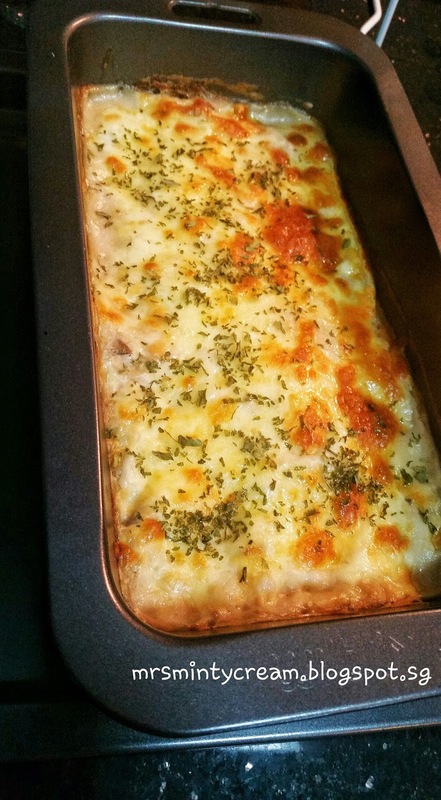 This cheesy rice bake looks incredible! 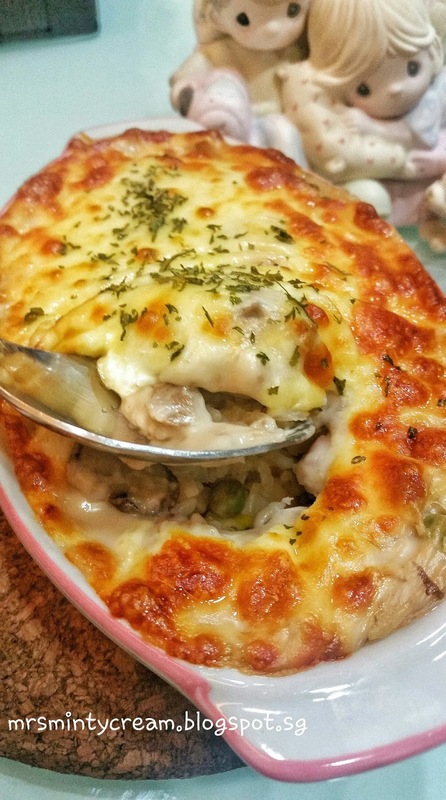 Love the flavours... and of course all the oozy cheese. Have you ever been to an outside event where you saw a cake that looked beautiful at first glance but after sitting in the heat for a while, it started to seep and turned into a science baked recipe What a waste of time and money. Someone may have chosen butter cream frosting or a filling they wanted instead of taking into account where the cake would be served and how long it would sit out before serving. 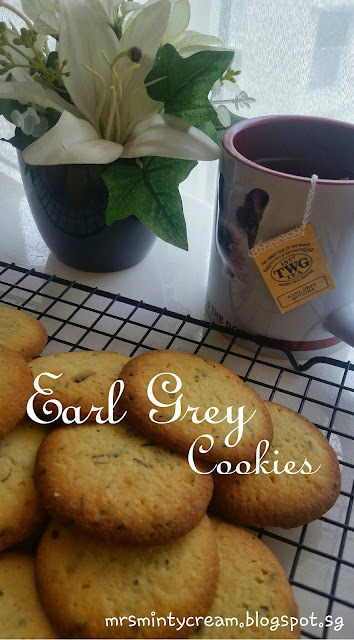 How to start your own dog baked recipes Well, if you are a dog lover, this would be the best low budget business that you can start instantly.